Komodo is dry, hot and barren, with rainfall occurring between November and March. It lies about 500 kilometers east of Bali, a location that places it between the Asian and Australian bio-geographical zones–an interesting crossroads for species. Birds from both zones are found on the island. Komodo is a small island of 280 square kilometers. It is located between the islands of Sumbawa and Flores. The Island has about 800 human inhabitants and double that number of dragons. Most of the other islands where the dragons live have no permanent human residents at all. Visitors to this area also should see the island of Rinca, which is just south and east of Komodo. It’s also part of Komodo National Park, but offers a slightly different landscape and good dragon populations. Rinca is just a short boat ride from Komodo island and is even closer to the island of Flores. Visitors must pay a park entrance fee of 50,000 rupiah and the camera tax is an additional 25,000 rupiah. In addition to wildlife viewing, Komodo National Park offers some of the best diving and snorkeling in Indonesia. The waters are clear and the marine life is spectacular. Whales and dolphins travel through the area regularly. Komodo Dragon (KOH-moh-DOH): The Komodo dragon lives on Komodo, Rinca, Flores, and Padar islands. There are about 1,500 on Rinca, 1,500 on Komodo, and a few hundred on Flores, and Padar. 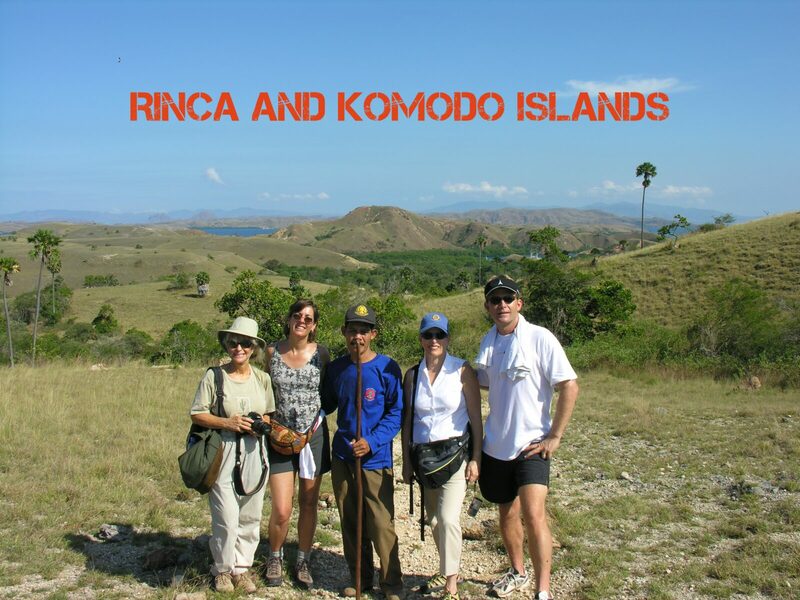 Both Komodo and Rinca islands accommodate day visitors. Flores is inhabited by thousands of people, which means transportation, accommodations, and basic services are within reach. Komodo dragons can move very quickly over short distances. They frequently kill deer and buffalo with their razor-sharp teeth and poisonous saliva. Stay alert, keep your distance, and be prepared to climb a tree if chased. Tour guides employed at the park lead all tour groups. They carry long, forked sticks that they press on the dragon’s snout, if necessary. This is not an area for unescorted tours, since one misstep could be your last. To see the big dragons, get to the park around sunrise for the first tour. The island temperature escalates the moment the sun rises. Dress lightly and bring drinking water along on your tour of Komodo island.